An exceptional, richly carved antique French cheval mirror in original silver gilt with beautiful time worn patina and original glass plate. 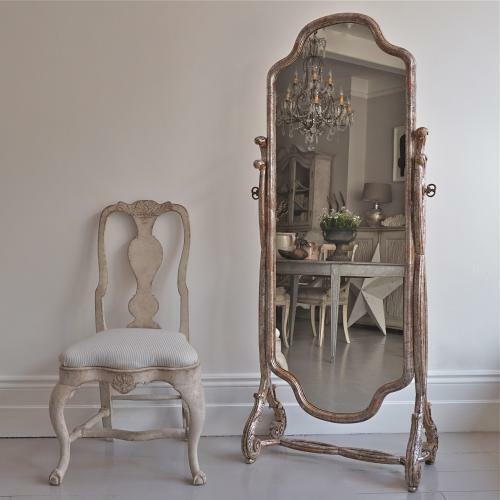 A decorative and very useful addition to a bedroom, or dressing room. Circa 1900 to 1920.